Music News: Kanye West Reveals Album Title Plus Features M.I.A. ~ La Roux & Alicia Keys Amongst Others On The Album! Posted on October 7, 2010 October 8, 2010 by JNEL & J.
Kanye West announced the official album title on Tuesday morning (October 5) via his Twitter. The name has been floating around for some time in various rumor reports and blog postings, but in the shorter iteration of ‘Dark Twisted Fantasy’. On Monday, West also confirmed the album’s release date, November 22. The project will arrive a day before Nicki Minaj‘s debut, ‘Pink Friday,’ and a number of other albums getting a jumpstart on the holiday shopping season. The first two singles from ‘My Beautiful Dark Twisted Fantasy’ have already been released, “Power” and “Runaway,” featuring Pusha T.
Another track scheduled to appear on the project, “Lost in the World,” leaked online last week, leading West to announce he was canceling his weekly free “G.O.O.D. Fridays” music offering. But by Friday night, he recanted and delivered the sartorial “Christian Dior Denim Flow,” featuring John Legend, Kid Cudi, Pusha T, Lloyd Banks and Ryan Leslie. On Tuesday, West also assured fans of the G.O.O.D offerings that some of those songs would be included on the album too. After showing ‘surreal’ film, West stuck around for two hours of Q&A, MTV UK reporter says. Kanye West invited a very select group of about 100 journalists and bloggers to the Wednesday-night London screening of his 35-minute art film for the song “Runaway.” Among them was MTV UK reporter Tom Thorogood, who got on the phone on Thursday morning (October 7) to talk about the typically over-the-top audience with the Louis Vuitton Don. Thorogood said there are perhaps only two dozen words spoken in the “ambitious … great looking” 35-minute art movie, whose narrative he described as “very loose and abstract.” If anything, he suspected it could be chopped up into five separate mind-bending music videos, though it only uses heavily altered snippets of West‘s music that are quite different from the versions of such songs as “Monster,” “Runaway” and the Bon Iver-sampling “Lost in the World” that fans have heard so far. In another scene, Thorogood said you hear a brief bit of “Power,” which Kanye taps out on the same kind of MPC drum machine he played on both the VMAs and on “Saturday Night Live.” The three- to four-minute bit features Ebanks silently dancing around West as the song plays. “It was quite clear that [the movie is about] what he said about this before being about his story … a representation of his career,” Thorogood said. And in a setup cued to the new song “Lights” that is likely to be the most iconic of the film, Thorogood said Kanye (a.k.a. “Griffin”) and the Phoenix watch as a marching band stomps across the screen carrying a giant, somewhat flimsy-looking papier-mâché model of Michael Jackson‘s head. Thorogood said the film had French subtitles for the sparse dialogue, which were likely a holdover from Tuesday night’s screening in Paris, since West said the version he showed in London was still a rough cut. Among the other new songs featured in the movie is one called “Blame Game,” which contains a healthy sample of the melancholy piano groove in cult electronic musician Aphex Twin‘s 2001 song “Avril 14th,” as well as vocals from frequent ‘Ye collaborator John Legend, which the rapper said may or may not make the final cut of the album. West introduced the film to his London audience by saying, ” ‘Purple Rain,’ [Pink Floyd’s] ‘The Wall,’ Michael Jackson’s ‘Thriller’ — I wanted to do a modern version of that.” He also said that about “90 percent” of the music featured in the film appears on his upcoming fifth album, My Beautiful Dark Twisted Fantasy, due out on November 22. Kanye West Adds M.I.A., La Roux And Alicia Keys To Album, ‘My Beautiful Dark Twisted Fantasy,’ which might also feature Jay-Z, Kid Cudi, Mos Def and Santigold. It was the court of the Crimson King (remember the red suit at the VMAs?) on Wednesday in London as Kanye West spoke to a select group of journalists and bloggers about his upcoming “Runaway” mini-movie and accompanying album, ‘My Beautiful Dark Twisted Fantasy,’ due out November 22. In addition to screening the nearly wordless, trippy fantasia on the high prices of fame and individuality, ‘Ye also dropped some information on a number of the collaborators he’s got lined up for the album. According to our colleague Tom Thorogood of MTV UK, during a rambling two-hour Q&A session, West mentioned that he’s been in the studio with everyone from Alicia Keys to M.I.A., Kid Cudi, Mos Def and Santigold working on tracks for Fantasy. He also confirmed that Bon Iver’s Justin Vernon is “all over” the album, a fact we already learned when a demo of “Lost in the World” recently leaked, which features re-recorded vocals from the BI track “Woods.” The pair reportedly recorded at least nine tracks together, and West has said Vernon is slated to appear on multiple songs. Among the other new tracks featured in the movie is “Blame Game,” which contains a healthy sample of the melancholy piano groove in cult electronic musician Aphex Twin’s 2001 song “Avril 14th,” as well as vocals from frequent ‘Ye collaborator John Legend, which may or may not make the album’s final cut. Other collaborators who’ve dropped in on sessions include Wu-Tang mastermind RZA and hip-hop icon Pete Rock. The spate of collaborations is no surprise, considering West has already dropped a number of singles packed with bold-faced names as part of his “G.O.O.D. Friday” series, including “So Appalled” (RZA, Jay-Z, Pusha T, Swizz Beatz, CyHi Da Prynce), “Lord Lord Lord” (Mos Def, Swizz Beatz, Raekwon, Charlie Wilson) and “Monster” (Jay-Z, Rick Ross, Bon Iver, Nicki Minaj). NME also reports that West said the album could feature vocals from La Roux‘s flame-haired frontwoman, Elly Jackson, as well as Chicago hip-hop don producer No ID. ‘Ye also said he’s traveling back to France soon — he debuted the film there Tuesday — to finish work on his mini-album with Jay-Z, ‘Watch the Throne’. And, in typically epic Kanye fashion, the Chicago MC said he’s planning a spectacular live show for the “Fantasy tour”, which he wants to wind up in front of the Egyptian pyramids. Unfortunately, he told the crowd, they’re not available until April. Which Kanye collabo are you most excited about? Listen to Kanye West ft. Drake – “All Of The Lights (Ghetto University)” below…. Who is the world’s highest earning celebrity? Which power couple dominates the entertainment world? What pop star commands the most searches on the Internet? The new Guinness World Records 2011 edition out now reveals all this and more in its celebrity-filled pages. As one of the most talked about pop stars in recent memory, it should come as no surprise that Lady Gaga earned two records for the new book – “Most Searched-For Female” on Google and “Most Weeks On UK Chart In Any Year” with an astounding 154 weeks. Gaga shares her place in the new book alongside two of music’s superstars – Jay-Z and Beyonce. 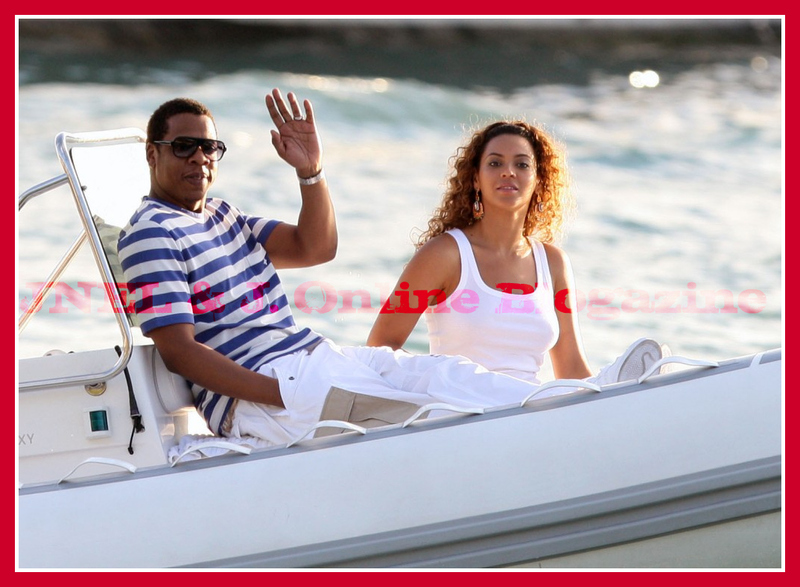 Named the year’s biggest “Power Couple”, Shawn “Jay-Z” Carter and Beyonce Knowles earned an astounding $122 million through June 2009. In tribute to the “King of Pop”, the new Guinness World Records book features a special page devoted to Michael Jackson. 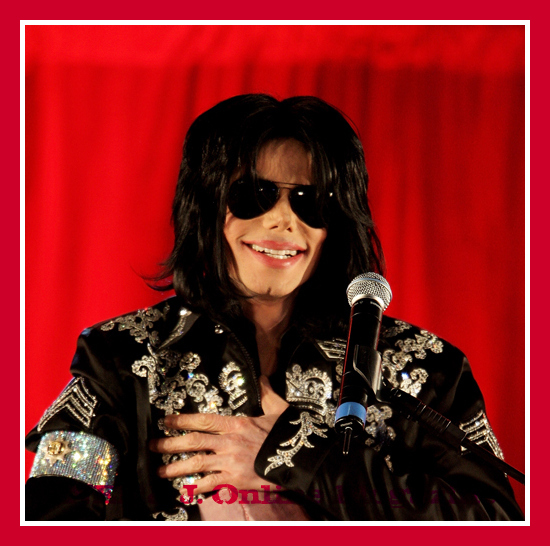 The untimely death of MJ made the entertainer the “Most Searched-For Male” on the web and earned him several posthumous records reinforcing his spot at the top of the entertainment world. 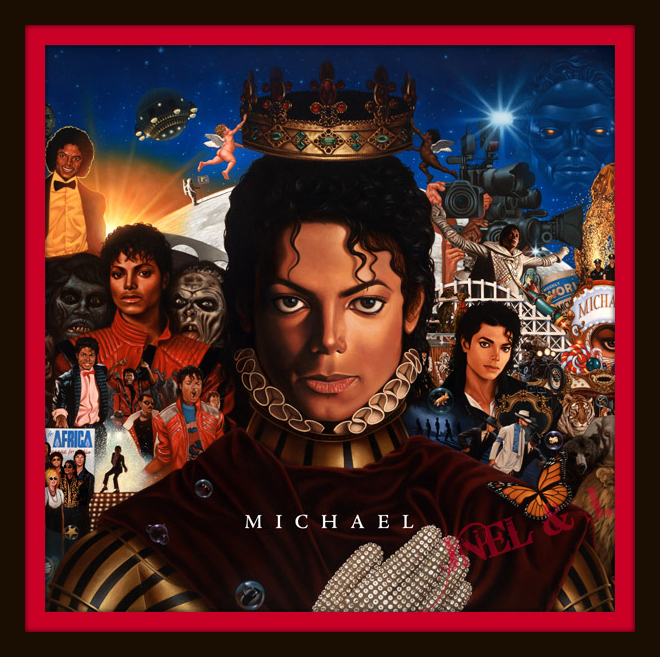 MJ, a fan of the Guinness World Records book, is a multiple record holder receiving eight over his lifetime for his chart achievements, album sales, earnings and charity donations. This world renowned and celebrated annual, Guinness World Records 2011, contains the most comprehensive collection of the greatest and most amazing accomplishments from this past decade and beyond. A “must-have” for both knowledge-seekers and aspiring record-breakers of all ages, Guinness World Records 2011 is available September 15th for the suggested retail price of $28.95. For more information about Guinness World Records 2011, to find out how you can participate in Guinness World Records Day 2009 or to vote for your favorite records, visit their website at: www.guinnessworldrecords.com. Posted on August 29, 2010 October 22, 2010 by JNEL & J. You will forever be missed. Your music influence will forever live on. May you R.I.P. Posted on June 28, 2010 June 28, 2010 by JNEL & J.
Sunday night marked the 2010 BET Awards, hosted by Queen Latifah, and an all-star roster of celebrities presented, performed, and took home top honors. Between Prince‘s Lifetime achievement award and Queen Latifah running the show, there was plenty of royalty at last night’s 10th anniversary of the BET Awards. 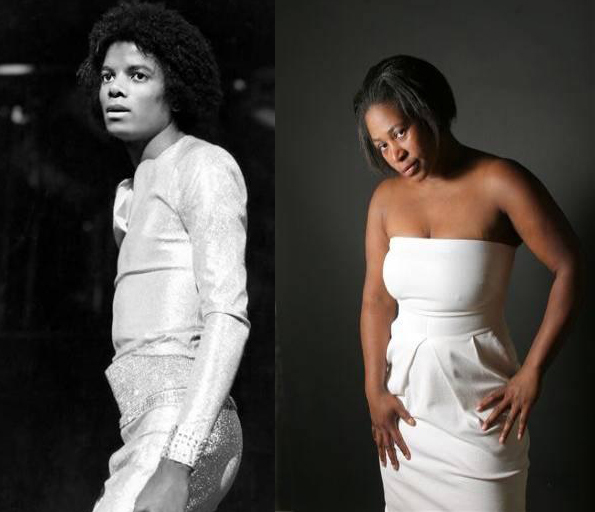 But in the midst of the performances of accolades, the stage was also set for a few big names to make their comebacks. Chris Brown was poised behind the curtain, looking like the silhouette of Michael Jackson himself. Once he came out, there was a palpable moment of tension so strong, it could almost be felt through the TV. Brown crotch-grabbed and moon-walked his way like a pro through the Michael Jackson songs as a supportive audience cheered him on. But then the opening bars from “Man in the Mirror” began to play, and we all braced for the irony of the words. Brown got through about one line of the song before his voice started to quiver with tears. After a few heartfelt efforts to regain composure, Brown fell to his knees sobbing and completely gave up trying to sing as the backup track took over. But Brown wasn’t the only one returning to the stage: Kanye West opened the show on top of a mountain – literally – as he performed his latest single, “Power.” T.I gave an upbeat performance that had the whole crowd moving, and El DeBarge was also a surprising treat as he performed a new song from his upcoming album and a medley of his R&B hits. Queen Latifah kept the show flowing as she changed outfits about 500 times, and Alicia Keys also had a good night. She won Best Female R&B artist, Best Collaboration for her work with Jay-Z in “Empire State of Mind,” and also fit in two performances: a medley set of her own songs early on in the program, and then she joined in the Prince tribute. But probably the best Prince performance of the night came from the one and only Patti LaBelle, who sang “Purple Rain” like we’ve never heard it before. LaBelle flicked her shoes off into the audience where Prince picked one of them up and gestured in respect to the diva. LaBelle came back and joined Chaka Khan on stage to formally present Prince with his Lifetime Achievement Award. Overwhelmed by the amount of praise coming from the audience, Prince asked everyone to sit down and said he was “speechless.” He started by thanking Jehovah, and then remarked on the future of music. “I do believe the future is in good hands, there is so much talent here,” he said. Trey Songz took home Best Male R&B Artist and Drake won Best Male Hip Hop Artist. Nicki Minaj received the award for Best Female Hip Hop Artist and thanked the female rappers who paved the way for her. Rihanna received the coveted Viewer’s Choice Award for “Hard,” but was not there to accept it. Also not there to accept Awards were Beyonce’ and Lady Gaga, who won Video of the Year for their collaboration in “Video Phone,” and Jay-Z was absent from the show as well. Chris Brown had the last word, at least for the night. After his Jackson tribute, he was announced as the surprise winner of BET’s Fandemonium award, a prize determined by fan votes, beating out apparent favorites like Justin Bieber, Trey Songz and Nicki Minaj. Prince also won a Lifetime achievement award and John Legend won a humanitarian award. The show’s top performances were given by Chris Brown, who paid tribute to Michael Jackson and ended sobbing on stage during “Man In The Mirror,” and Patti LaBelle’s cover of “Purple Rain” in honor of Prince. Posted on June 26, 2010 June 26, 2010 by JNEL & J. On the one-year anniversary of Michael Jackson’s death, Janet, Randy, Tito and Jermaine Jackson gathered at Forest Lawn Cemetery in Glendale, Calif. to pay their respects. The group — all dressed in black — arrived around 11 a.m. PT and entered through a back entrance of the mausoleum in which Michael is interned. About 500 fans also quietly gathered, many wearing sequined jackets or white gloves, according to a witness. Michael‘s children Prince, 13, Paris, 12, and Blanket, 8, were not in attendance. They were last publicly spotted in Hawaii Thursday with their grandmother (and legal guardian), Katherine Jackson. “Sorry Big Bro, for not getting ur children there on the anniversary of ur last day. I tried,” Twittered Randy. Katherine traveled to Michael‘s hometown of Gary, Ind. Friday afternoon, where she unveiled a marble memorial of her son. A cell-phone vigil was also held in broad daylight outside Michael‘s childhood home. R.I.P. Michael Jackson, you will forever be missed. 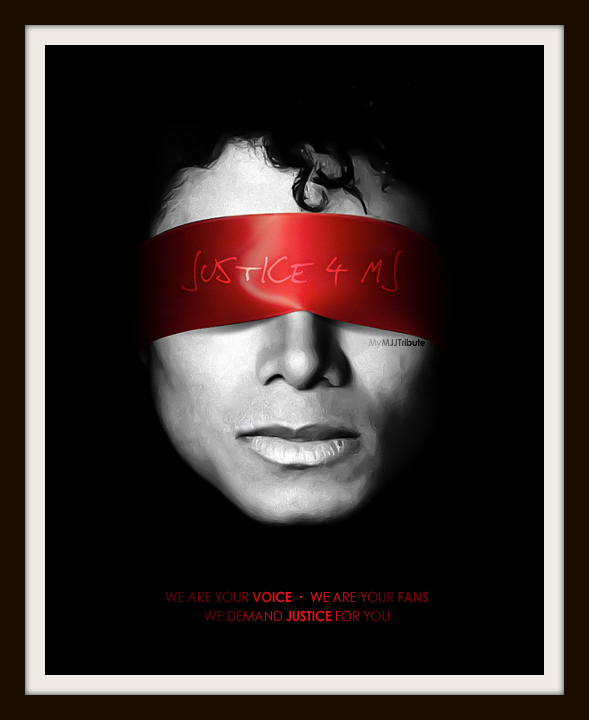 Posted on June 26, 2010 by JNEL & J.
Michael Jackson‘s father, Joe Jackson filed a wrongful death lawsuit Friday against the doctor charged with giving the pop superstar a lethal dose of sedatives one year ago, accusing the Nevada doctor of negligence, secrecy and poor training. 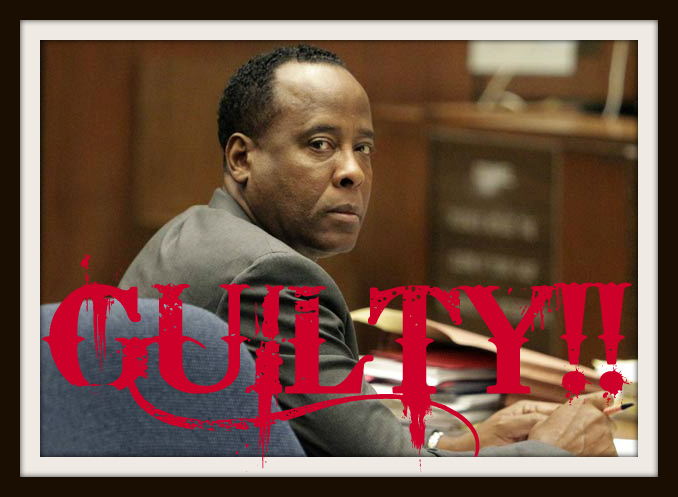 Joe Jackson sued Dr. Conrad Murray on Friday — the anniversary of Michael Jackson’s death — in federal court in Los Angeles. Propofol is normally administered only in hospital settings, but Murray had been providing Jackson the drug in the bedroom of the singer’s rented mansion in Los Angeles. 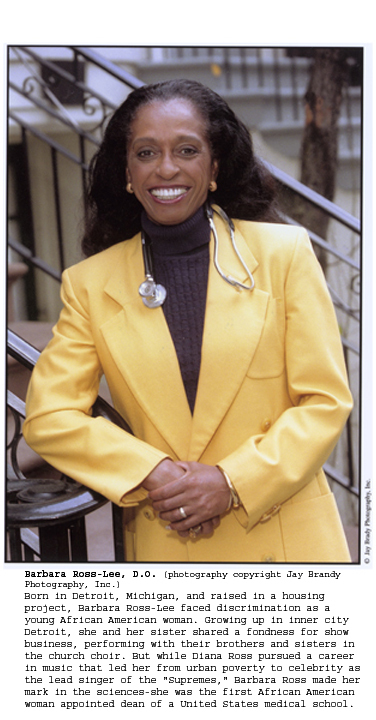 Joe Jackson contends the physician tried to conceal his administration of the drug after Jackson’s death. The lawsuit also names medical clinics that Murray operates in Las Vegas and Houston, claiming they did not properly train or supervise the doctor. The lawsuit was filed in federal court because Murray‘s clinics are in other states and the doctor lives in Nevada. Murray has pleaded not guilty to an involuntary manslaughter charge filed in February. His attorneys have said that he did not give Jackson anything that “should have” killed him. Joe Jackson’s attorney, Brian Oxman said there’s a one-year deadline after a death to sue doctors in the state of California. Also Friday, a court official in Nevada approved what a prosecutor called a reprieve of efforts to revoke Murray‘s medical license in that state. Prosecutor Gerard Costantian said Murray‘s attorneys paid about $5,000 toward Murray‘s $15,000 back child support obligation, and the rest will be paid in coming months. Murray’s lawyer Kristine Brewer said later the money came from an anonymous benefactor whose name she didn’t know. Murray owes the money to the mother of his 12-year-old son in California. He didn’t have to appear in court Friday. Nevada law allows for the suspension of professional licenses for nonpayment of child support. The lawsuit came on a day when fans around the world were mourning Jackson. Joe Jackson was not seen at two of the marquee locations — the unveiling of a statue in the family’s hometown of Gary, Ind., and the Glendale, Calif., cemetery where his son is interred. Joe Jackson‘s lawsuit claims Murray repeatedly lied to paramedics and doctors about giving Jackson propofol. Using hospital records obtained earlier this year, the lawsuit claims Murray told an emergency room doctor that he had only provided Jackson two medications, Valium and Flomax. It also claims the doctor changed his story to police. Murray‘s attorneys have said detectives misinterpreted parts of Murray‘s statements, and their official timeline differs from what he says happened. It is unclear what money, if any, he’ll be able to collect if he wins. Even before Jackson‘s death, Murray faced mounting debts and adverse judgments in several courts for unpaid bills and child support. His $150,000 a month contract to be Jackson‘s personal physician while the singer performed in a series of comeback London concerts was never signed, and his attorneys have said he is barely hanging on financially. “Mr. Jackson believes there are other parties responsible for Michael Jackson’s death, but has not yet gathered sufficient information regarding their potential liability or responsibility,” the complaint states. Jackson has filed a complaint against concert promoter AEG Live with the California Medical Board, alleging it was engaged in the illegal practice of medicine by allegedly guiding Murray‘s treatments of the singer. He said Joe Jackson‘s attorney will now have access to evidence presented in that case, and could have the case strengthened if Murray is convicted.